This Post discusses about Creating a WebDynpro JAVA IView. 1) Web Dynpro JAVA Development Component (DC) name, if it is a local development then the component name. 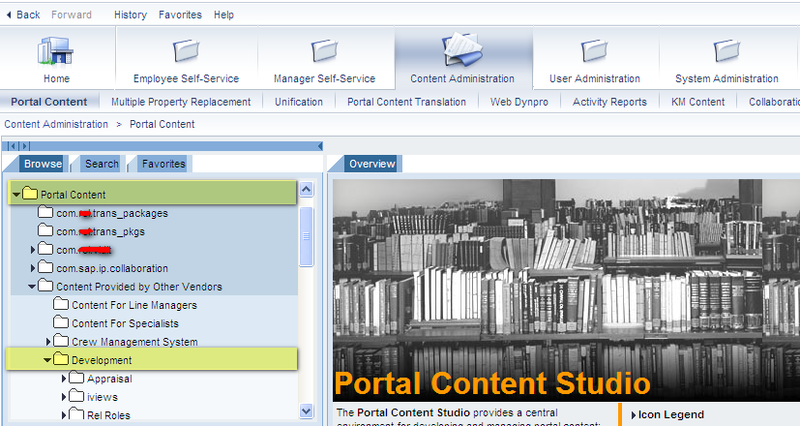 Go to Content Administrator > Portal Content. Select a folder in which you wish to create your new IView. 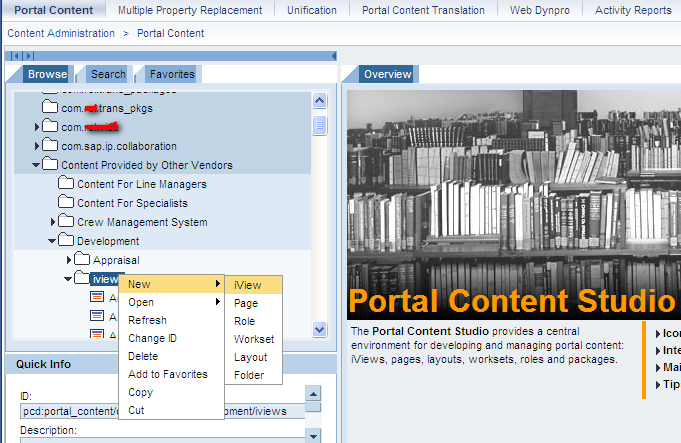 Now, right click on the folder in which you want to create, then select New > IView. Select Web Dynpro for JAVA application. Select the Web Dynpro Component and the Web Dynpro Application for which you want to create your iView. Click on ‘Finish’ button to complete the process. You have successfully created the iView for your Web Dynpro JAVA application, and now you can assign this Iview to pages, workset, roles and then to the user. To test your newly created iView right click on the iView and then select ‘Preview’.